＊1. Cornea 26 (6) 2007.L.Alvord,J.Hall,D.Keyes,C.F.Morgan and L.C.Winterton. 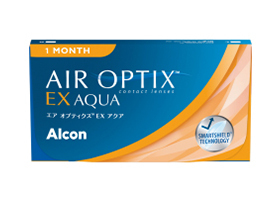 99% of oxygen available to the cornea during open eye, daily wear conditions.※エア オプティクス® アクアとの比較。＊2. 個人差があります。＊3 酸素透過率(Dk/t)175×10-9(cm/sec)・(mLO2/mL×mmHg) *-3.00Dの場合＊4. Nash W, Gabriel M. Ex vivo analysis of cholesterol deposition for commercially available silicone hydrogel contact lenses using a fluorometric enzymatic assay. Eye Contact Lens. 2014;40(5):277-282.＊5. Nash W, Gabriel M, Mowrey-Mckee M. A comparison of various silicone hydrogel lenses; lipid and protein deposition as a result of daily wear. Optom Vis Sci. 2010;87:E-abstract 105110.＊6. Lemp J, Kern J. Clinical Study of Lotrafilcon B Lenses Packaged With a Substantive Wetting Agent. Poster presented at 2nd World Congress of Optometry; September 11-13, 2017; Hyderabad, India.＊7. Luensmann D, Yu M, Yang J, Srinivasan S, Jones L. Impact of cosmetics on the physical dimension and optical performance of silicone hydrogel contact lenses. Eye Contact Lens. 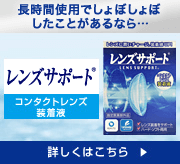 2015;41(4):218-227.＊8. Srinivasan S, Otchere H, Yu M, Yang J, Luensmann D, Jones L. Impact of cosmetics on the surface properties of silicone hydrogel contact lenses. Eye Contact Lens. 2015;41(4):228-235.＊9. Alcon data on file, 2007.＊10. Lemp J, Muya L, Driver-Scott A, Alvord L. A comparison of two methods for assessing wetting substantivity. Poster presented at: 2016 Global Specialty Lens Symposium (GSLS); January 21-24, 2016; Las Vegas, NV.